Care3, a leading mobile health technology company enabling team-based caregiving to help people live comfortably in their homes, is pleased today to announce its selection as one of the finalists for AARP Health Innovation@50+ LivePitch, the one day pitch competition for emerging startups in the healthy living space with a focus on caregiving. Selected from more than 200 applicants, Care3 will compete against 13 other startups representing the best in digital health. Care3 will present on stage before a panel of expert judges and an audience filled with AARP members. These members will share feedback in real-time on business viability, interest and value, providing invaluable market data on the spot. AARP’s Health Innovation@50+ LivePitch event will be held at Plug and Play Tech Center in Sunnyvale, CA on April 27, 2016. For more information, go to http://health50.org/. To learn more about AARP, visit http://www.aarp.org. 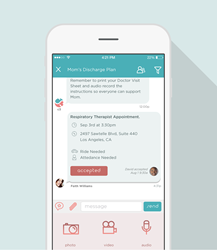 Founded by three longtime digital health innovators with experience caring for aging parents and special needs children, Care3 has invented “care-sharing” (patent pending), the process of breaking down a care plan into individual steps and sharing those activities on mobile devices as Action Messages™ with a team of family and professional caregivers in the home. 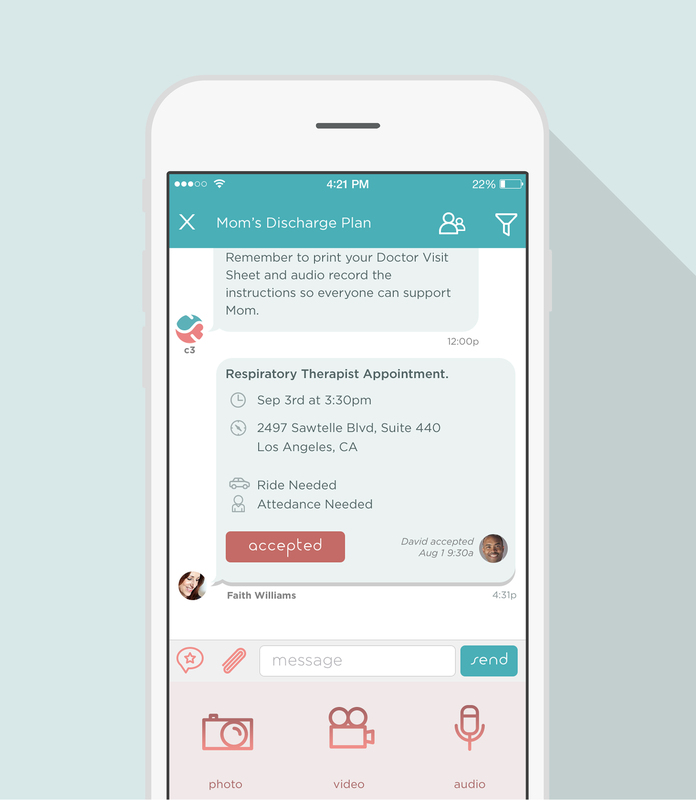 The Care3 care-sharing mobile app is free for family caregivers to easily coordinate care anywhere. Learn more at http://www.care3.co.